Catch this inspiring interview with me and author/creative coach Cynthia Morris of Original Impulse for a lively and inspiring discussion on writing and creativity. 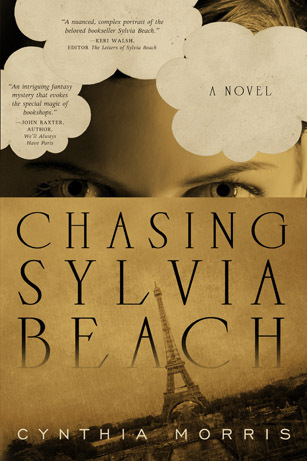 Cynthia just published her debut novel Chasing Sylvia Beach which brings to life the world of the Shakespeare and Company bookstore founder Sylvia Beach and the streets of Paris pre-World War II. Have a dream to write a book? (Come on, I know you do!) Find out Cynthia’s secrets to writing and finishing her book (hint – it’s a combo of left and right-brainess) and how she used her art to help fund many trips to France. Plus Cynthia shows us some peeks into her super innovative and fun artwork for her book launch and her delightful visual journals. We also discuss a bit about how to move past the inner critic and how to find your authentic voice. All great tips for writers, creative spirits, and right-brain entrepreneurs. You can see the chat log here. 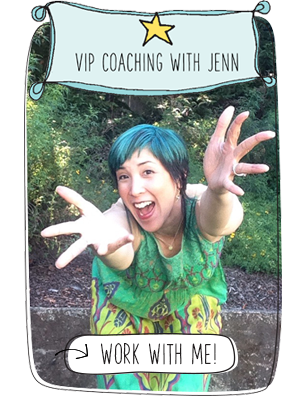 Join me again for a live video chat on August 7th at 12noon PT for a Livestream interview with Right-Brain Business Plan® licensed facilitator Yael Duncan from Capetown, South Africa. It’s going to be fabulous! Want to get unstuck? 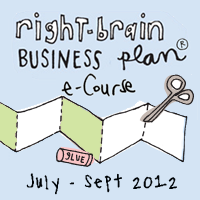 Make sure to catch the free Livestream class I did with Right-Brain Business Plan® licensed facilitator Amy Egenberger and find out about the next offering of the Right-Brain Business Plan® e-Course which starts next week! This is the only time a facilitated version of this course will be offered in 2012. Thanks so much for hosting me, Jenn! It was fun to speak with you and interact with the group on live chat.